The ones filmed in slow motion with an ocean of thick, creamy, chocolaty liquid swirling around the screen. Or with close-up shots of melted chocolate slowly being poured out of a huge fountain in this otherworldly oasis, surrounded by flying cherubs. Or something else just as ridiculously tantalizing to watch. Kind of makes you want to lick the screen. 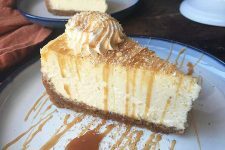 You can make something as outrageously creamy, as powerfully fragrant, as unbelievably seductive as the dessert that you can’t take your eyes off of that has taunted you from the television screen. Yes – it’s real, folks! And you only need three ingredients to make it in your own kitchen. I’m talking about chocolate ganache. My heart is melting, and my mouth is salivating! How about yours? 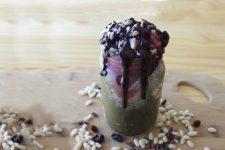 I know how badly you want to jump right to the recipe and make it immediately, but let’s go over some tips first to ensure that you’ll end up with a bowl filled with the creamiest dessert topping of your dreams, rather than a sad clumpy disaster. Ganache is a rich and smooth emulsified mixture of three ingredients: chocolate, heavy cream, and butter. Hot cream is poured over chopped chocolate, then stirred together with the butter until smooth. 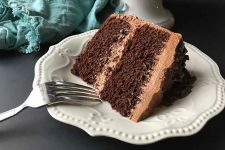 It is different from a traditional chocolate frosting, like our old-fashioned cocoa fudge frosting, because there is no addition of any powdered sugar, and it is not beaten in a stand mixer to make it light and fluffy. 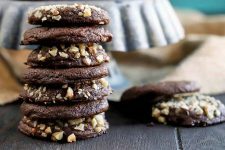 It’s simple – choose a high-quality chocolate that you enjoy eating to make this recipe. The final flavor will be dependent upon your chosen sweet. 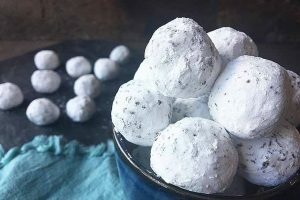 This recipe works best with dark, semisweet, or bittersweet varieties. These will not be too overwhelmingly sweet, and their bitterness beautifully balances the fattiness of the heavy whipping cream and butter. You can certainly choose either bar or chip form. I have used both, with delicious success. If you’re not using chips, the chocolate needs to be chopped into small pieces before adding the hot heavy cream. Smaller pieces will melt more quickly and easily. 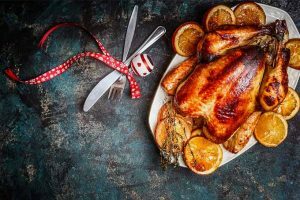 You don’t want to spend too much time vigorously stirring large chunks to force them to melt – the more air that is incorporated into the mixture, the more risk there is of developing a grainy final product. Don’t like a mess? I recommend using small chips rather than a bar. With the bar form, you will need to chop it into small pieces, which can get a little messy. With chips, you can simply throw them in the bowl and continue with the recipe. Walk away from the half and half. Ignore the 1% milk. Pretend the fat-free milk doesn’t even exist. Your focus should be entirely on acquiring a big carton of heavy whipping cream. 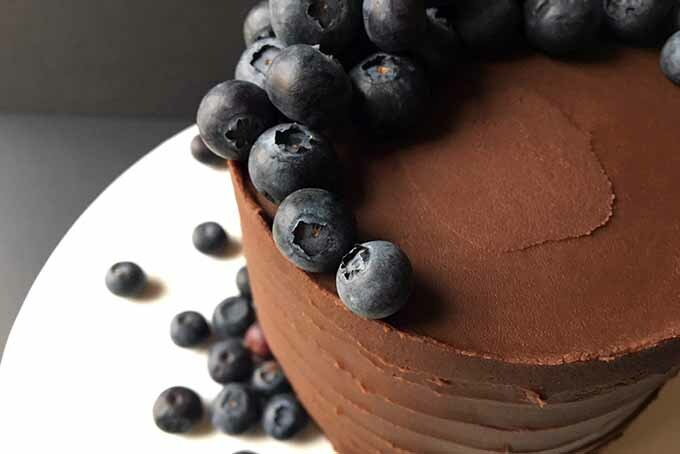 With its high milk fat content (no less than 36%), heavy whipping cream creates the smoothest, thickest, creamiest ganache – the ultimate indulgence! 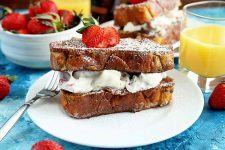 When you are making this recipe, heat the cream only until it starts to simmer. You just need to get it warm enough that it will melt the chocolate. You do not want to reduce the liquid, or risk burning it. I refuse to apologize for adding even more fatty goodness. Finishing the ganache with butter improves the final texture, and creates the most amazing melt-in-your-mouth experience. It also creates a subtle sheen that is particularly notable when using as a glaze. Just like the chocolate, the butter needs to be cut into small chunks to emulsify well. Also important – the butter needs to be at room temperature. If you add cold butter, it will too much unnecessary stirring and a longer period of time to melt. 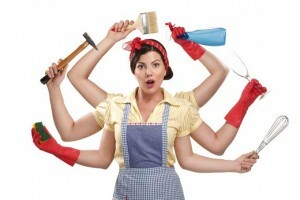 It may even cause the mixture to seize and curdle – a huge no-no! If that does happen, one fix that may save it is to slowly add more hot heavy cream a tablespoon at a time while stirring until the mixture is smooth. There’s no doubt ganache is glorious on its own. But it’s even better when used as a delectable decoration for desserts! It’s incredibly versatile, but it’s especially awesome when used for cake decorating. Definitely use it when decorating your next chocolate cake or vanilla butter cake! Use it as a filling in between layers for a subtle chocolaty experience. Or read our ideas below for more edible inspiration. A fun decorating trend is the drip-glaze technique. The process involves applying liquid glazes so they will run off the edges of a pastry, and drip slightly down the sides. Ganache is a perfect medium for this technique! After you make the recipe, it will be too warm and thin to use immediately. If you try to use the drip-glaze technique too soon, it will drip too quickly down the sides, and will set very thinly. 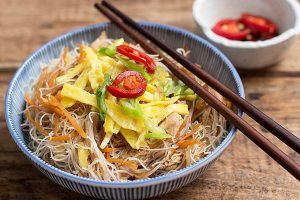 You want it to look thick, luscious, and irresistible – not thin and flat! To achieve the right thickness, let it rest at room temperature for 10 minutes after it is made so it can cool and thicken slightly. It should then be the perfect consistency for dripping. You still want it to be pourable, yet thick enough that it will set on the sides of the cake. 1. Frost the top and sides of the cake with your choice of icing. Chill the cake in the refrigerator for about 30 minutes, or until the icing is set. 2. Make one batch of ganache. Allow it to set at room temperature for about 10 minutes. 3. 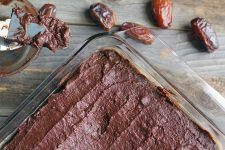 Dip a spoon in the prepared ganache and very slowly pour a tiny amount in one spot on the very edge of the chilled cake. Push it gently over the edge until it begins to drip down the sides. Use different amounts of ganache on each spot that you choose to vary the thickness and length of the drip. 4. Repeat Step 3 until the entire circumference is covered. 5. 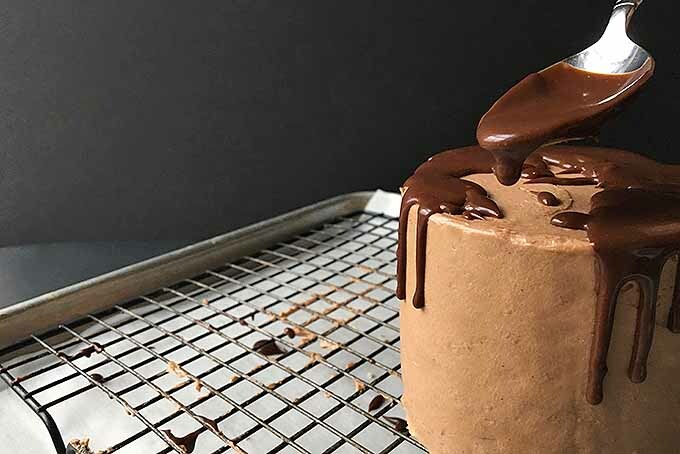 Cover the exposed icing on the top of the cake with an even layer of ganache. Decorate with optional garnishes – like fresh fruit, sprinkles, nuts, or chocolate shavings – before it hardens. 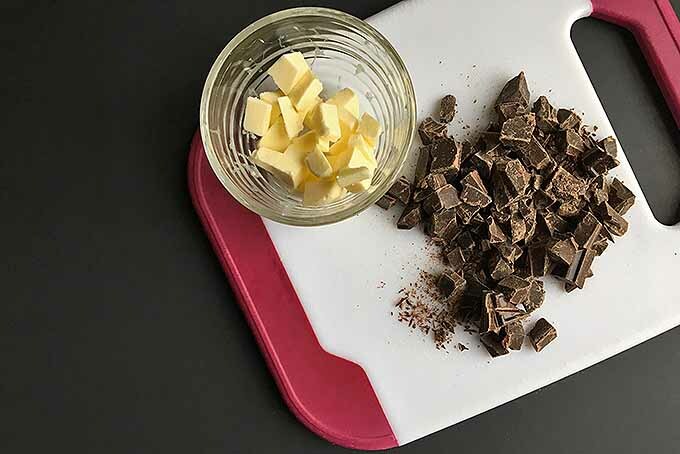 A microplane is a great tool to have for preparing garnishes like shaved chocolate for topping baked goods. 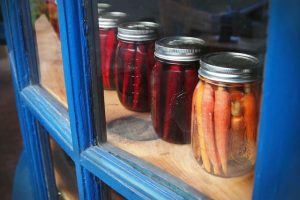 It’s not just for zesting citrus and grating cheese! 6. Let the decorated dessert set at room temperature for 30 minutes before serving, or until the ganache sets. Want to eat the cake at a later time? Cover and chill in the refrigerator for up to one week. Let it come to room temperature before serving. 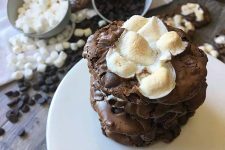 If the drip-glaze technique isn’t enough to satisfy your craziest cravings, we have something even more decadent for you to try! Use the ganache as a thick, spreadable icing to fill and decorate the entire cake! 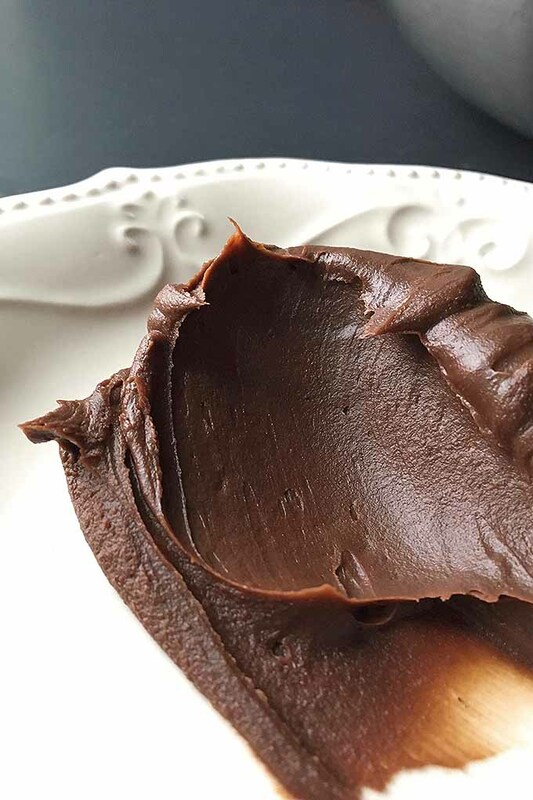 When cooled completely at room temperature, ganache sets to a thick and spreadable consistency, similar to a soft fudge icing. 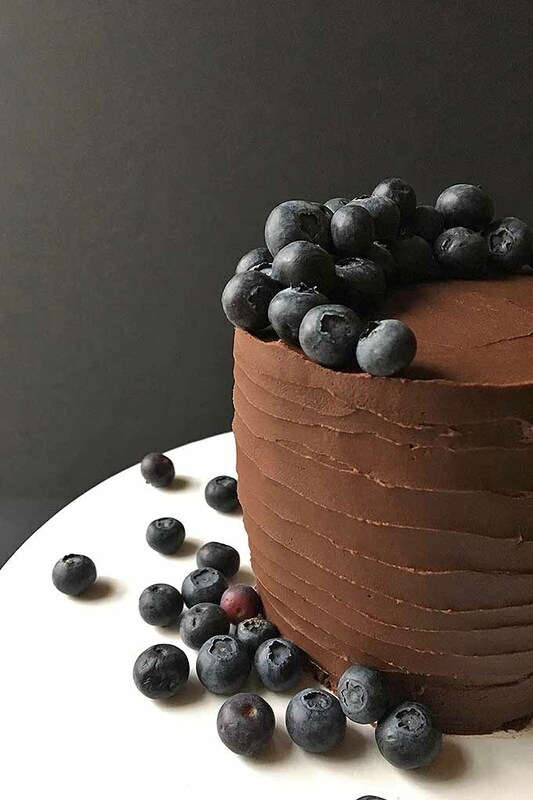 You will need to double the recipe for a full sized 8- or 9-inch cake with two layers. 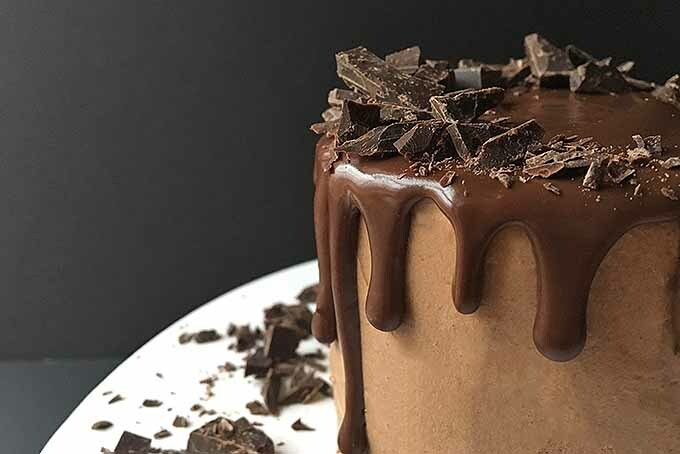 While it is not necessary to use a base layer of icing, I recommend doing this in order to seal in all of the cake crumbs, so that you can cleanly cover the cake with ganache. Plus, you’re creating an additional layer of deliciousness. And who can say no to that? 1. Make a double batch of ganache. 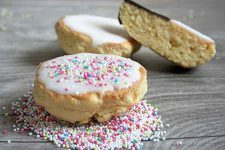 Allow it to set at room temperature until cooled completely, or until it reaches a consistency thick enough for frosting. This may take up to 30 minutes. 2. In the meantime, frost the top and sides of the cake with your choice of icing. Chill in the refrigerator for 30 minutes. 3. Frost the top and sides of the cake with cooled ganache. 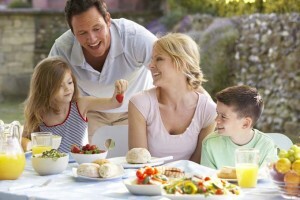 Decorate with optional garnishes before it sets completely. 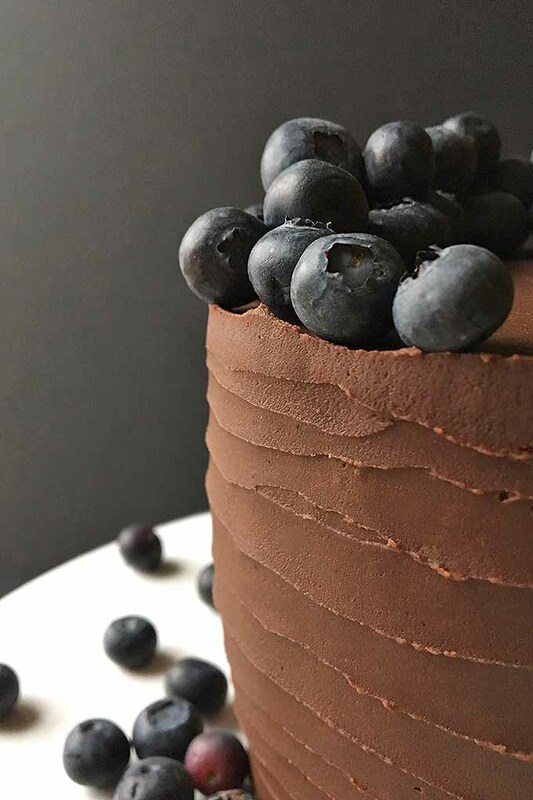 Here’s an optional decorating technique to add a bit more dimension: after the sides are covered with the ganache, gently apply pressure with the tip of your an offset spatula on the bottom of the cake, and spin the turntable, slowing moving the spatula up the sides to the very top. This creates a cool, layered texture on the sides. You can use this with any kind of icing, as well! 4. Let the decorated cake set at room temperature for 15 minutes before serving, or until the ganache sets. If you won’t be serving your dessert right away, you can chill it in a covered container for up to a week. Remember to let it return to room temperature before slicing. 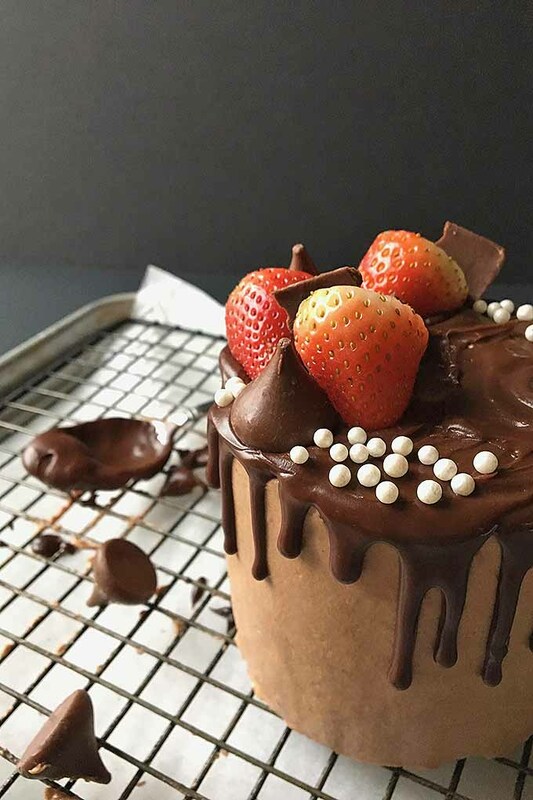 Don’t think you’re limited to only enveloping cakes in this wonderful creation. Dip homemade plain marshmallows in it, or use a peppermint marshmallow version for a fun combo of flavors. 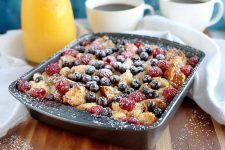 Let fresh berries bathe in its glazy glory. 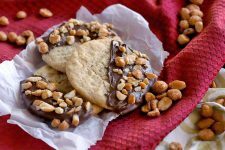 Drizzle it on top of your favorite sugar cookies, or on our German-style Amerikaner cookie cakes. If you are just as obsessed as I am, go even crazier – cover our gluten-free cashew brownies in ganache for some double chocolate action! Need some extra help with choosing the right tools for decorating your fine creations? Read our guide on the best decorating tools every baker should own! 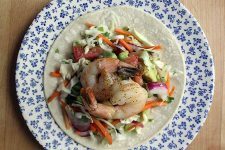 We’ve given you plenty of options to consider, and all the tips you need to make our recipe. Read below to make a batch now! Want to indulge in a sinfully decadent dessert? We’ll tempt you with a batch of our rich and creamy chocolate ganache. 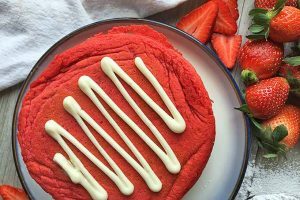 Get the recipe now on Foodal. 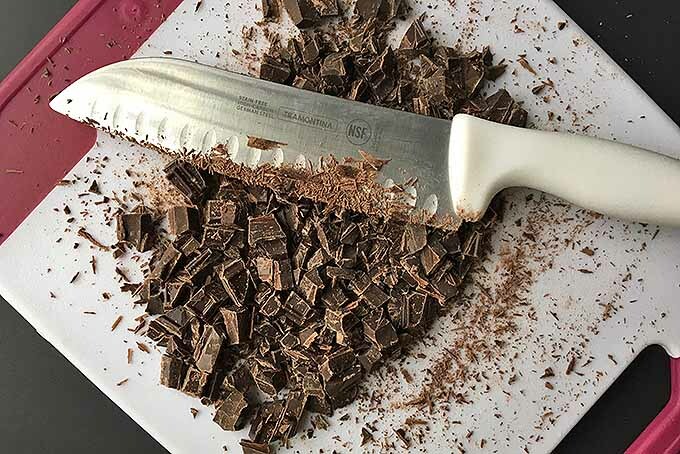 Chop chocolate into small pieces. 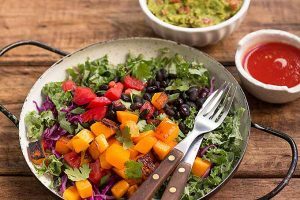 Place in a medium stainless steel bowl and set aside. Cut the butter into small chunks and set aside in a separate dish. Heat the heavy cream in a medium saucepan over medium heat. As soon as it begins to simmer, immediately remove from the heat and pour over the prepared chocolate. Allow to stand for 5 minutes, then lightly stir with a whisk until all of the chocolate has melted and the mixture is smooth. Add the butter and lightly stir until the butter has melted and is completely incorporated. Use as needed. If using for glaze, allow to set at room temperature for 10 minutes before applying. If using for frosting, allow to set at room temperature for at least 30 minutes, or until it attains a thick, spreadable consistency, before applying. 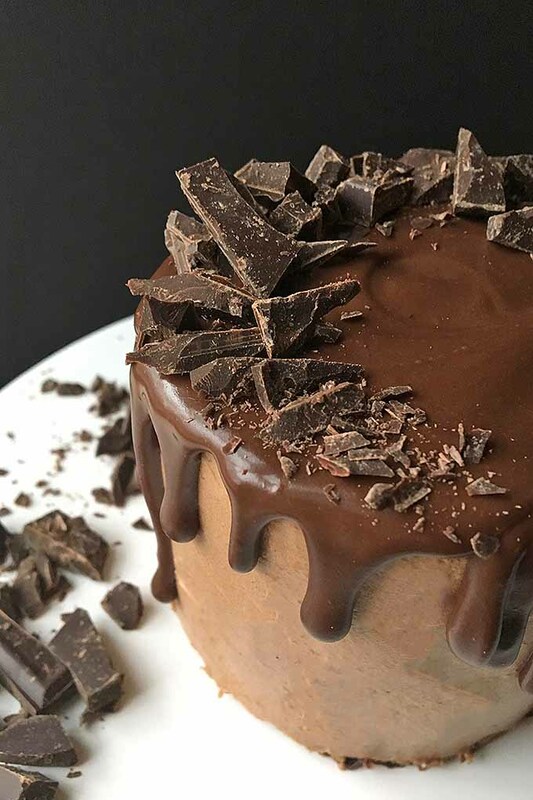 You may need to refrigerate the ganache to thicken it more quickly, stirring every 5-10 minutes until it is cooled and thickened to your desired consistency. If necessary, cut large pieces of chocolate into small chunks. Place in a stainless steel bowl and set aside. Cut the room temperature butter into small chunks as well, and set aside in a separate bowl. In a medium saucepan, heat the heavy cream until simmering. Remove from heat, and immediately pour over the prepared chocolate. Let stand for 5 minutes without whisking, in order to start melting the chocolate. 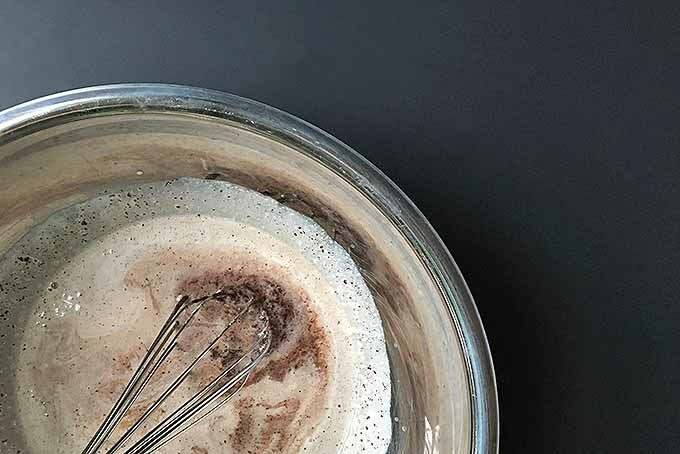 Gently stir with a whisk just until the chocolate has completely melted and is mixed completely together with the heavy cream. Whisk the mixture as little as possible. Once the chocolate and heavy cream are completely combined, add the butter. 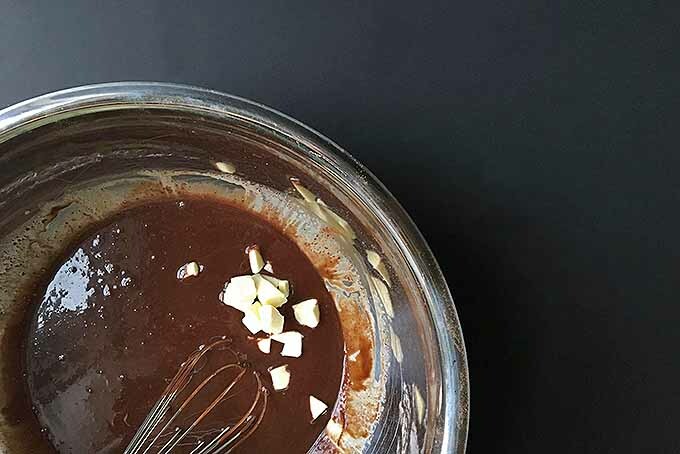 Whisk until all of the butter is completely melted and incorporated into the ganache. If using for a drip glaze, let the mixture set at room temperature for an additional 10 minutes before applying to pastries or cakes. If using as a frosting, let the mixture stand at room temperature until cooled, or until reaches the right thickness for spreading, about 30 minutes. 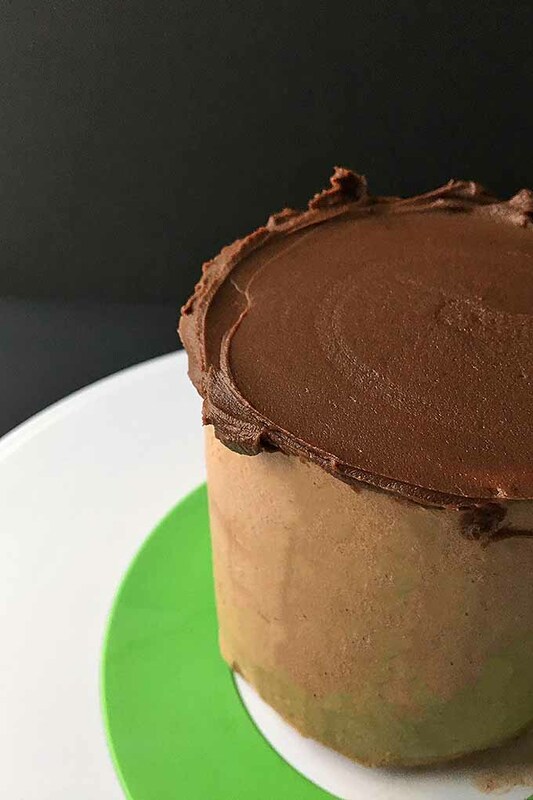 Store ganache at room temperature in an airtight container for up to two days. It can also be stored for up to one week in the refrigerator. Chilling will harden the ganache. It’s best to decorate with it before it is stored in the refrigerator. This way, it will have the best consistency for use as a glaze or frosting. Freezing is not advisable. This will alter its texture and increase the risk of breaking when you thaw it. Again, it is best to apply ganache for decorating purposes when it is freshly made. Oh, but I wish we could cover the whole world in this delicious creation! We’ll have to settle with what we make in the kitchen instead. 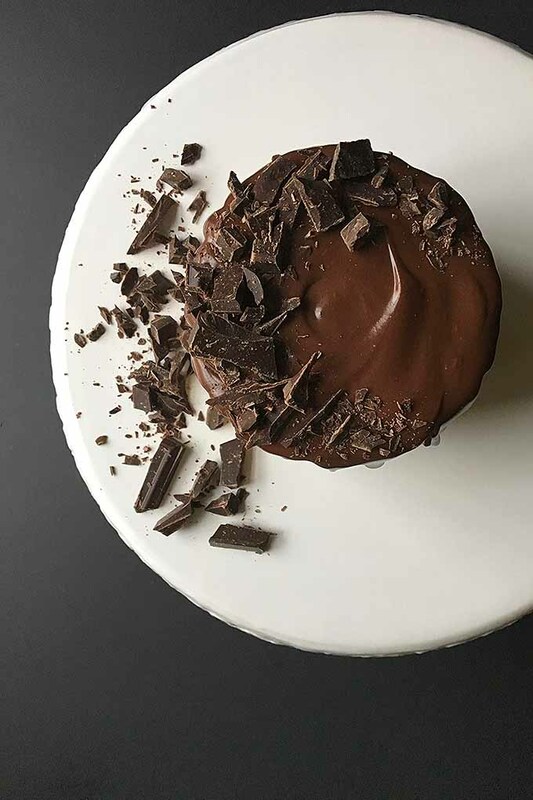 So go completely over the top by using our ganache recipe to take your chocolate craving to the next crazy level. It’s so much better than staring longingly at those tempting television commercials! Spread the joy to all your desserts, from cakes and cookies to marshmallows and brownies. They all deserve a warm, sweet hug from freshly made ganache. However you decide to use it, let us know in the comments below! This look SO good. I positively love chocolate ganache and cake. Well, I love cake period. But chocolate ganache is just so perfect! Lauren, you and I are two beans in the same chocolate pod! Chocolate ganache is perfect. Cake is perfect. Combine the two together… Can it get any better than that?!?! It’s been over 20 minutes and the ganache is too thin. I followed it specifically and weighed/measured every ingredient. Hi, Polly! 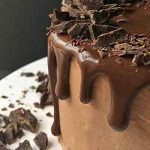 Ganache can be a little finicky, due to a VARIETY of factors, like the thickness of the heavy cream, the type of chocolate used, or even how warm your kitchen is. 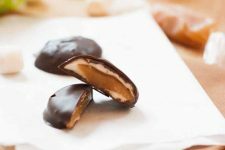 To help quicken the thickening stage, try putting the ganache in your refrigerator, and stirring every 5-10 minutes until it is thick enough. I’ve let the ganache sit for over 20 mins and it is too soupy to use on my cake! I followed the recipe to the “T” for the glaze drip & it just isn’t working! Hi, Ck! Sorry you’re having some difficulty with the ganache! A lot of factors can attribute to a thinner texture, from how warm you heat the cream to the type of chocolate to the humidity in the air. 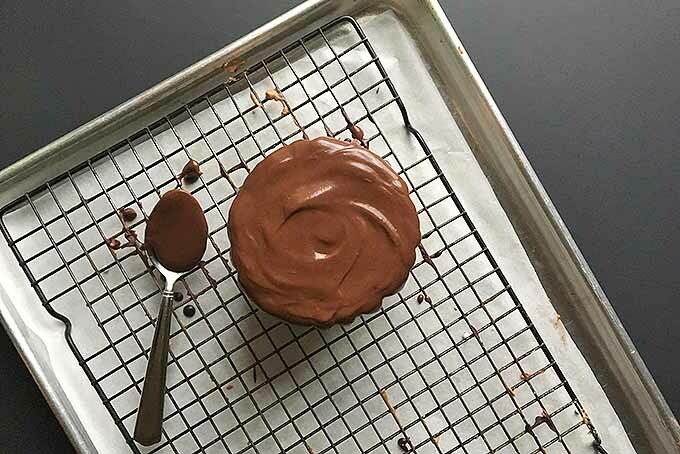 You do have some easy solutions to consider – refrigerate your ganache, stirring it every 10 minutes, until it thickens enough that it can be spreadable. 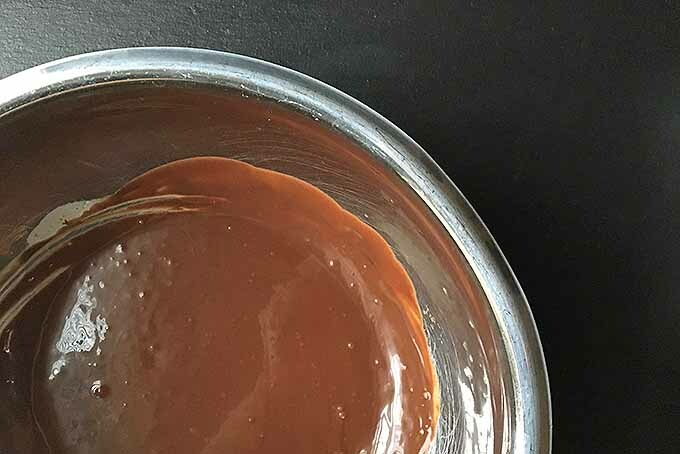 You can also gently reheat the ganache over a double boiler, stirring frequently, and whisk in about 1/2 – 1 cup more chocolate to thicken the ganache. I think chocolate ganache on a spoon would be just great!! It’s more than great… it’s absolutely DIVINE! Thank you for sharing this recipe. Next time I’ll make sure to use your tips.